This is basic information regarding the Australian Standard for tile grout joint widths for ceramic and porcelain floor tiles and wall tiles. The size of the grout joint can change the way your overall tile installation looks. It is important to use the right size grout joint for technical reasons and also for aesthetic reasons. Most end users desire very small grout joints; indeed, many would prefer no joint at all. • What is the standard for determining the size of a grout joint? • Can it be bigger or smaller? • Does it need to be a specific size? “The width of the joint should be wide enough to accommodate the variances in size of the tiles as permitted by the manufacturing standards” – AS3958.1&2. All types of ceramic tile shrink in size as they are fired. The larger the tile the greater the possibility of size variation. Even a rectified tile that is made by either sawing or grinding the tile that has already been fired to a specific size, still has some minimal variation between pieces. Tight grout joints will highlight any variation from tile to tile. Even small variations can throw off the pattern of the tile if adjustments are not made in the grout joint. For pressed edge floor tiles anything less than a 3 mm joint may not accommodate the size variation in the tile. However, for example, a 1.5 mm variation in a grout joint between 3 mm and 5 mm would not be noticeable. For rectified tiles, as AS3958.1 gives no guidance to joint size, then the manufacturers recommendation should be referred to. Also, due to tile size variation and other factors, it is normal that the same width grout lines between wall and floor tiles may not line up. Unless you can adjust the width of the grout lines satisfactorily, it may be better that the grout lines between the wall and floor tiles are purposely offset so as to have the best aesthetic look. Note: Using floor tiles on the wall obviously requires the same accommodating grout joints as on the floor. 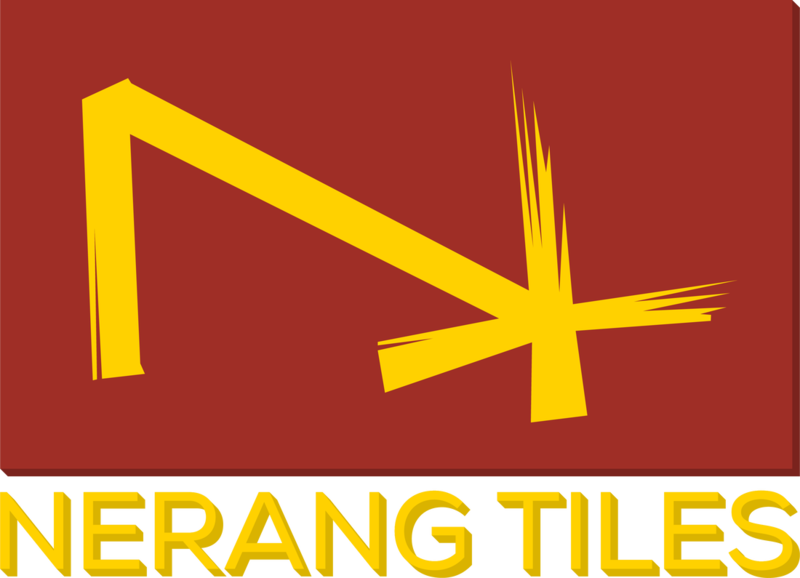 Installed tiling is a surface finish that will follow the plane of the substrate, as such, variations in the substrate will be reflected in the tiles unless additional levelling is performed. Substrate flatness is even more important with rectified tiles which do not have a cushion edge. Additionally, all tiles have some amount of warpage as part of the firing process that is within the manufacturing standard and not considered a defect unless excessive. So unless there is an adequately flat substrate small grout joints will highlight any lippage, where one edge of the tile is higher or lower than its adjacent tile. As grout joints can accommodate differences in the flatness of the surface, tiling on substrates that are not level may require wider grout joints that can slope from one tile to another. Substrates can be flexible, shrink while curing and move due to environmental conditions. An adequate size grout joint that is much more compressible than the tile itself must be maintained to accommodate these movements. The smaller the grout joints the greater the difficulty for the installer to fully compact the grout into the joint which may result in the grout material crumbling. Your selection of grout colour will affect the overall look and feel of your tile installation, which allows you to be flexible with grout joint width, depending on your choice of colour. Light grouts against light tiles tend to hide imperfections in size which means you can tighten your joints if you desire. Darker grouts against light tiles, on the other hand, bring out those size variations. When selecting the grout joint width it should be made by mutual consent of all the interested parties before installation commences after considering all of the above points and any instructions given by the manufacturer.